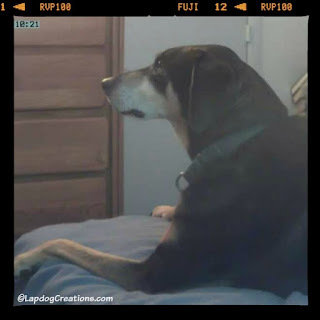 What do your pets do when you're not home? It's an age-old question that some may fantasize about while we're bored at work. I bet we've all got a pet who can relate to one of the stars of The Secret Life of Pets! Disclosure: This post is sponsored by Vimtag. 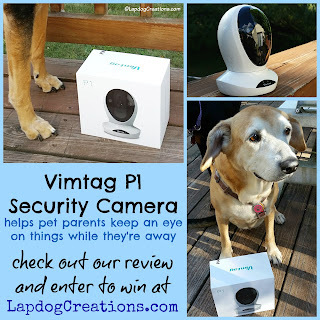 I am being compensated for helping spread the word about their P1 Security Camera, however Lapdog Creations only shares information we feel is relevant to our readers. All opinions expressed here are my own. If you click on my affiliate links and make a purchase, I may receive a few pennies which help keep this blog running. Vimtag is responsible for the giveaway prize. Thanks to Vimtag, I'm about to find out just what the Lapdogs do while I'm hard at work (someone's got to foot the bill for their lavish lifestyles). I'm pretty confident there's a lot of sleeping going on, but who knows. Maybe they're head-banging like that Poodle? 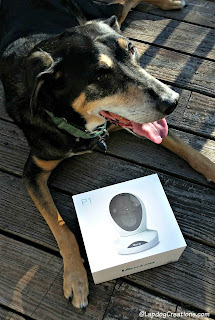 I am really looking forward to seeing what our Vimtag P1 Premium IP Wireless Network Security Camera, Plug/Play, Pan/Tilt with Two-Way Audio and Night Vision captures in the coming days. But first, I had to set up the camera, as well as the app on my cell phone. 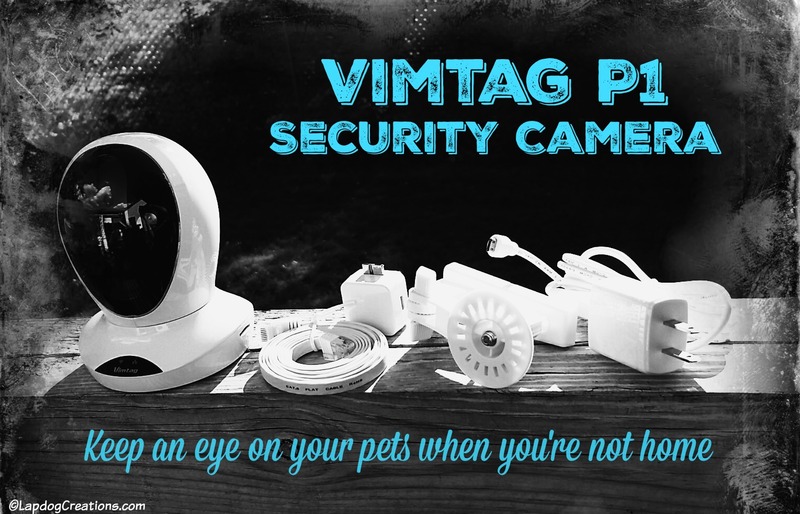 The Vimtag P1 security camera doesn't take up too much space. It's actually very compact and modern looking, and easily blends in with any décor, not causing an eyesore in your home. The plug-and-play setup was fairly quick and easy. The only issue I ran into was during the initial set up, and it wasn't even a big deal. Set up can be done via Smart Wi-Fi or Ethernet. For some reason, the camera app would not connect using Wi-Fi, so I had to set it up via Ethernet. This just means I had to plug the camera into my router with the provided cord, and complete the setup steps. Once that was done, everything worked perfectly - including the wireless connection! I was immediately able to start monitoring things right from my cell phone. The smart phone app allows you to view live video, and hear the audio of what's going on as well. You can record a video to save, or even take still shots of what's going on. This was my first spy-capture... Teutul doing what he does best, chilling! I love that I can control the camera from my phone as well. With just a few clicks, I can pan the camera left or right. I can also click on the mic icon and speak to the dogs (although I'm still not convinced they won't be totally freaked out by this option)! The camera allows you to set a motion detector alarm as well. As soon as motion is detected (you can alter the sensitivity), you'll get an alert on your phone. I don't think I'll use this feature too much, as I'd suspect the dogs would be "alarming" several times a day. I'm more interested in using the camera to be able to check in on them from time to time. I'm excited to get to know the features of my Vimtag P1 over the next few weeks and will be sharing our experiences with you. In the meantime, Vimtag is giving one lucky ready a camera of their own! Are you ready to find out what your pets are up to while you're away? 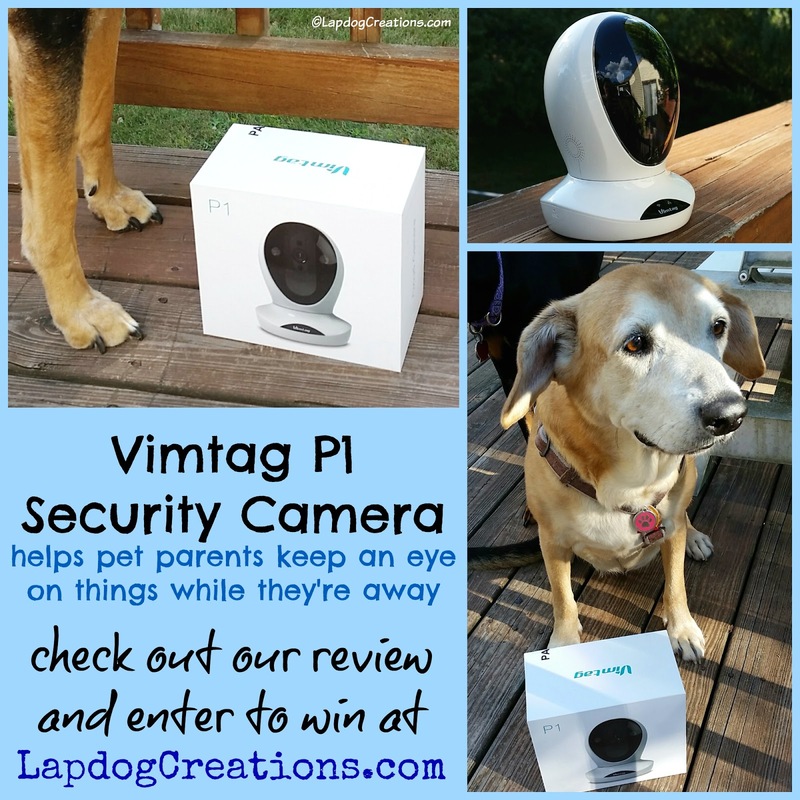 Vimtag is giving a P1 Security Camera to one lucky winner! When I'm gone I think that my dog, Annie, sleeps a lot, looks out the window, and plays with her toys. I would love to be able to see what she is really doing though! My cats are the naughtiest pets at our household. They love to knock things over and try to steal treats. My pets probably do a lot of sleeping. I think my dog likes to get into things. I don't know what Nola would do, but I'm very curious! i have 3 little girls, the oldest may sleep, since she is 15 yrs old, however, she does have oops a lot when i am gone, she is deaf, almost blind and cant hold it very long. the baby, now 6, plays with lots of toys because they are all over the house when i get home. the middle child now 6, may play some, but with her younger sister, she does not play with toys much. i know they will bark if they see anyone coming to the house, see any deer. I think they probably sleep most of the time, look out the window and play with toys when I'm not home. I've often wondered what they do when we're not home, but I'm almost afraid to find out. I knew that Tsar was busy eating the furniture and Morgan was ripping papers, but I'm guessing that some sleep and others just watch the door for our return. My 3 sleep most of the day and bark at the mailman. I'm pretty sure Koira just naps while I'm gone most of the time. Every so often, though, whether she is crated or not, she seems to throw a fit, and I'm not sure what sets it off. Boredom, something scary happening outside, or what. Ptera I'm really not sure about, she is crated when I am gone, so I assume she is just sleeping, but I don't know for sure. Nelly waits at the window, looking for me to come back home! I am betting Bella plays with her toys, sleeps and barks for us to come home. We would love watching her on my phone. What a cool camera! I would love to know what my pets do when I'm not there with them. I have a feeling that it could be pretty entertaining, especially with the ferrets. When I leave my little Sunray home alone, I can hear him screaming for me to come back, however my guess is that this is all just a cover up so that he can instantly sneak into the pantry to get the maple syrup and cover his kibble with it. He is obsessed with syrup!! He is a weird guy but I love him so much and when we are reunited everything is so much better. I have a camera in one part of my house but I need one in another for my dogs. I know my border collie likes to lay down in one spot the entire time I'm gone and my other pup wanders the house whining. My shelties sleep and look out the windows waiting for us to come home. I can't imagine what my three maniacs do! I've ALWAYS wanted to video them to find out WHO is reaponsible for what. We have one who learn to open and raid the fridge...another is going crazy and chewing up EVERYTHING! I think it would be funny, and it would help me figure out if it's severe anxiety. I think it's neat that there's two way sound!